nate diaz tweeted his work is done he's retiring too lol. wonder what conor's reason is, can't take a loss, injury reasons, drug related? Conor has mentioned retiring a few times, just never this directly. He was ringside for a fight in Ireland last week, where one of the fighters died the next day so it's very possible that played a big factor in his decision. He's definitely earned enough money to live comfortably if he was/is smart with his money so seeing something like that happen may have convinced him that he should get out while he can. Opinions are divided on whether or not this is a troll job or if he's serious though. Conor's coach & credible mma media people are saying it's legit. UFC can't be very happy right now! Maybe he wants to retire before being completely exposed? Kind of a weird situation though. Definitely a weird situation... the UFC is adding to it by oddly announcing hours later that they have pulled him from UFC 200. How do you pull someone that already announced they're retired? This is definitely possible moving up weight class may not suit him. When Conor McGregor announced his retirement from MMA on Twitter, there were many theories as to why the featherweight champion decided to step away from the sport so young. UFC President Dana White then appeared on SportsCenter to announce that McGregor had been pulled from UFC 200 after refusing to fulfill his media obligations for the July 9th event. Sports Journalist Charly Arnolt revealed via Twitter that McGregor was demanding an insane amount of money for the event. There's more to it than that apparently. He asked for the money but then also refused to come to Vegas to shoot promo stuff for the fight. I don't normally side with the UFC in their contract issues with fighters but Conor can't have it both ways. He deserves the money since he pulls in huge numbers for them but his name alone doesn't sell the fights, it's the promoting/hyping he does that makes people tune in, so if he's not willing to do that, he's not going to get that kind of money. I'm sure his argument was without the extra money he wasn't going to do the extra work anymore. Other than Ronda, Conor is the only fighter they have that brings in big numbers for the UFC. 2015 was their 3rd best year ever (in terms of PPV sales) with those 2 leading the way by far so he's definitely up there. He also made $8 million for the Aldo fight so he's not far off as it is. Brock & GSP also made a ton of sponsorship money, which is something Conor can't because of the Reebok deal. Ronda makes more in endorsements/movies than Conor so he might be saying ok, since I can't/don't make that "bonus" money, my base pay needs to come up to equal things out a bit. Not all top guys get a ppv % - a guy like Dominick Cruz, for example, is a champion but he fights on more Fight Night cards than he does PPV so that wouldn't work so well for him. 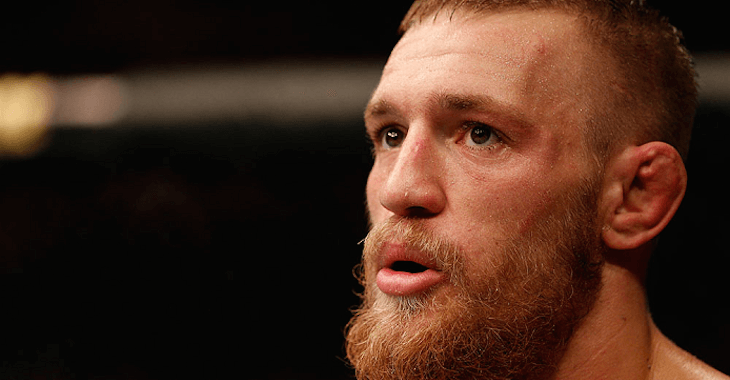 The locker room bonus & PPV share is what brought Conor up to $8 million against Aldo. His base pay for the fight was only 500k (he got an extra 50k for performance of the night & another 40k from Reebok). He expected to make over $10 million for that fight after all was said and done. I haven't heard what he got in the end for it but maybe the UFC wasn't as generous that time around? The UFC is trying to make UFC 200 the biggest card in their history so he wants to get paid accordingly. I am fine with Connor not being on UFC 200. He lost to Diaz because he doesn't have the same power at 170 as he does at the lower classes. He could also not absorb the same damage he could at Feather. Holm was vastly outclassed in her last two fights. She has the standup game but all the other fighter had to do is not play Holm's game. Roused did and lost. Tate didn't and she eventually found a way to get Holm down and from there the fight was over. Conner was pretty much in the same boat. He can't do the ground game and Diaz was the first fighter that was able to get him there and keep him there. Mendes had him outclassed in their fight on the ground but Mendes was the smaller guy and couldn't makes Connor pay the way Diaz could. For all his hype McGregor was eventually going to pay for his lack of depth. Holly Holm was not outclassed against Ronda... she made her look like a fool and schooled her. Connor is overrated and in my opinon not a dominant kind of guy like GSP or Silva were in their primes.... but he was an attraction like Brock so definitely hurts the UFC's draw. So Conor finally made a real statement - basically he's not retired but he's tired of promoting the **** out of his fights (which he has done at an unprecedented rate) while trying to prepare for a fight. He feels he's earned the right to let the other fighters on the card do most of the promo stuff like he has done in the past. I have to laugh at Dana White... Dear Lord that guy should not be the spokesman for the UFC. The sheer amount of BS he spewed or put on twitter that contradict what he said himself even minutes before posting is hilarious. I also enjoy how he thinks that the much obvious lies he writes would even fool the most casual fan. I see Connor coming back and apparently he wants 13 million so the UFC will pay. Conner was pretty much in the same boat. He can't do the ground game and Diaz was the first fighter that was able to get him there and keep him there. Holm has never been dominated. Her second last fight was when she dominated Rousey. She was also winning her fight against Tate going into the 5th. Diaz & McGregor went to the ground because McGregor took him down. It was a desperation move bc he got hurt standing. Rousey fought Holm's game. If she had fought a Rousey game Holm wouldn't have gone to round two. Tate didn't charge like a sloppy bull and Holm wasn't rounded enough to outlast her. It doesn't matter at all who put who down the simple fact is McGregor has no ground game. McGregor was able to survive the smaller Mendes ground game but he wasn't going to outlast Diaz. McGregor is not Should not fight higher than lightweight he is just not big enough. You said Holm was vastly outclassed in her last two bouts, which was clearly untrue. Rousey's game is to charge her opponents and overwhelm them, which is why most of her fights are over so fast. Holm's footwork was way too good for that to work. The best example was Rousey falling on her face after Holm sidestepped her. You mean like when Rousey took her down in round 1 and went for her signature armbar that Holm escaped? Holm was 30 seconds away from a clear unanimous decision win against Tate, tell me again how she was vastly outclassed? McGregor does have a ground game (go back & watch rounds 2 & 3 against Max Holloway), it's just not his forte and isn't anywhere near Nate's level (not many people in those division are). I do agree that he shouldn't be fighting higher than 155 though (Nate shouldn't either), those guys are just too big. Rousey's coaching was terrible and she chased Holm around the ring. Holm is a striker first and foremost and Rousey's coaches should have known that they should have had Holm coming to her instead of charging. Holm has way too good a foot work set. If Rousey's coaches had told her to let Holm come to her Holm would not have won. Rousey was gassed long before the takedown and as such Holm had no problem. I disagree with your claim that Holm was headed to a unanimous decision. It was at least 2-2. That is moot though because Tate finished her. I have nothing against Holm but she is pretty one dimensional. IMHO Tate really gets no respect she is pretty well rounded and fought a very intelligent fight against Holm. I think she is a more deserving champion that Rousey and Holm. I was happy for her because she worked hard to get there and did it with very little fanfare. Her win also only helps to grow the Woman's Bantam division. I just can't say Connor has in any way a helpful ground game. Mendes is a much smaller guy and he was unable to really do much with Mendes on top. Connor may be able to do something when he is the one doing the taking down but he is really not good when he is on the bottom. If he sticks around and wants to challenge guy closer to walk around weight then he HAS TO improve there because as he goes up in weight he is going to lose the size advantage he holds at featherweight.